Pennsylvania has a long history of chocolate and candy making — from the well-known large companies such as Hershey, Ludens and 5th Avenue (both of the last two companies were originally located in Reading) to small companies such as Wilbur Chocolates in Litiz or Reppert’s in Oley. 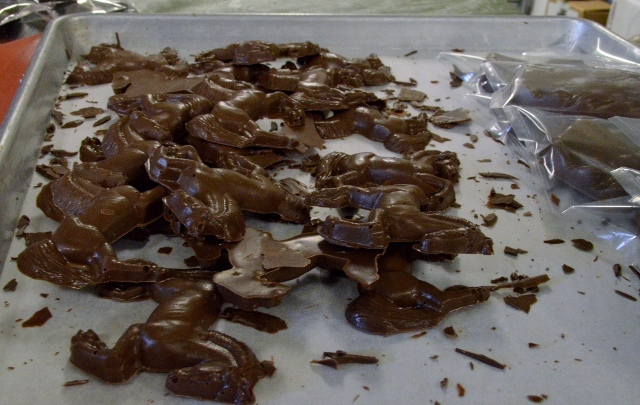 There are also many very small chocolate makers such as Lorah’s Handmade Chocolates. 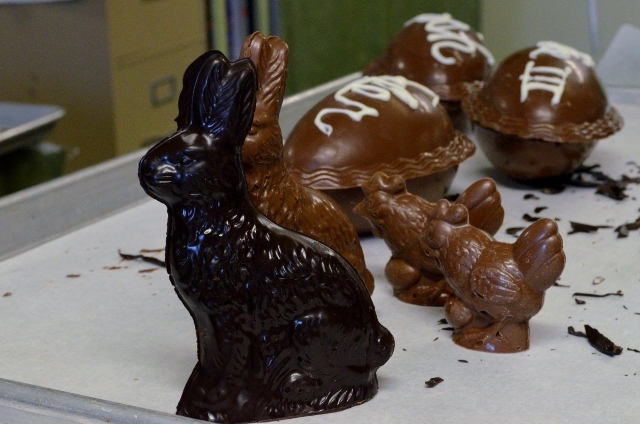 Started forty years ago in Lancaster County as Lorah’s Candy Kitchen by Ruth Lorah, the chocolates became well-known in the area for their quality. The business is now operated by Ruth’s niece, Maria Lorah Havey and is located in the Berks County countryside. Maria makes a wide variety of chocolates that are sold in local stores, out of the chocolate kitchen in her home and by mail order. 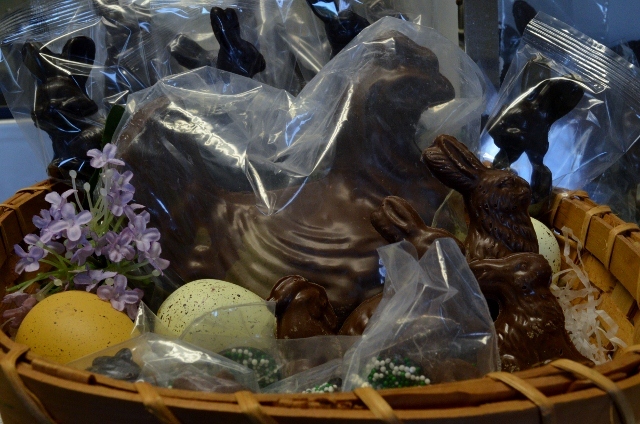 During the Easter season, chocolate comes in many different shapes as various community groups sell the chocolates for fund-raisers. 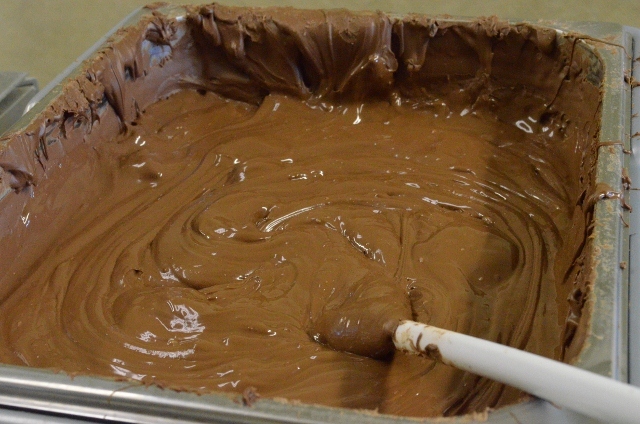 It all starts with pans of chocolate. Then the creativity begins with nuts, creams, and all types of variations. 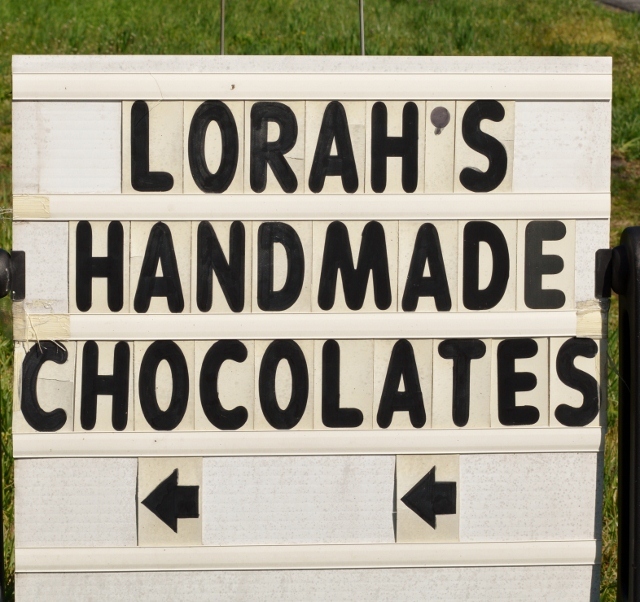 To try some of Lorah’s Handmade Chocolates, visit the web page for ordering information and a listing of available chocolates. 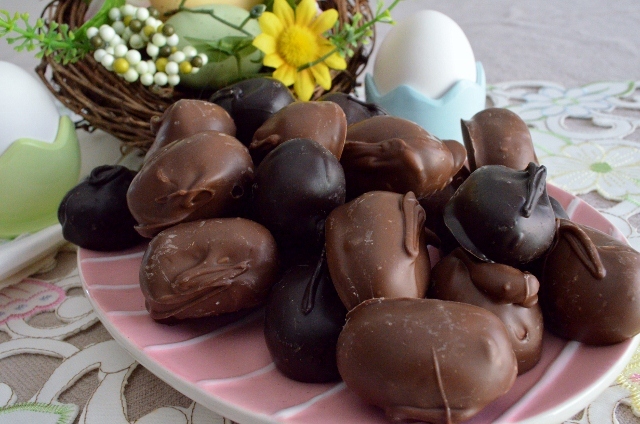 Enjoy some chocolate today!